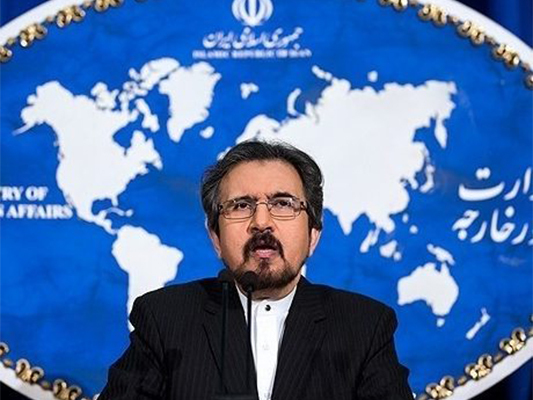 Iranian Foreign Ministry Spokesman Bahram Qassemi has condemned the US for detaining an anchor of the Iranian English-language television news network, Press TV. In a Wednesday statement, Qassemi reacted to the detention of Marzieh Hashemi in the US upon her arrival in the United States, saying the Islamic Republic condemns the US government for the illegal detention of Press TV’s journalist and anchor, Marzieh Hashemi (Melanie Franklin). “The Islamic Republic demands the US government to provide the journalist with all her basic and human rights and release her from the illegal detention immediately and without any precondition,” he said. According to Qassemi, the mistreatment of the Muslim citizen of America by the US police stands in stark violation of the human rights and citizenship rights as well as the basic rights of a Muslim woman. “This shows that the US government is not committed to the very principles, which it uses as a pretext to attack its critics and America has turned into a dangerous place for journalists,” he said. Press TV news anchor Hashemi has been arrested in an airport in the US city of St Louis. She has been taken to a facility in Washington DC by the FBI. Marzieh Hashemi is being held in jail without any charges. She was born in the United States and currently lives in Iran. The Muslim journalist has been working for Press TV for over a decade. Marzieh Hashemi visited the US to attend her ill brother and other relatives. She has told her family that she’s being treated like a criminal. The guards have removed her Hijab against her will and have denied her Halal food.